Jiminy Peak is a self contained resort, with skiing and boarding, slope-side accommodations, a village center with shops, and dining on site. Jiminy is the only mountain resort in North America that generates their own energy by using alternative wind power, thanks to their Wind Turbine. The advanced skier and boarder can find challenging terrain, while intermediates can enjoy runs just made for cruising. Take the high speed six-passenger Berkshire Express to the summit. Beginners, too, can take to the slopes at their own pace. If you just can't get your fill of skiing during the day, don't worry - there's lighted night skiing to fill the void. Skiers and riders have access to 167 acres via 9 lifts and 45 runs. Jiminy Peak is a great ski destination for families and beginners. The resort has long wide groomed beginner and intermediate runs serviced by an updated chairlift system. The ski area also provides some advanced steep long trails and terrain parks. The resort also offers night skiing and snowmaking coverage of the majority of the resort. 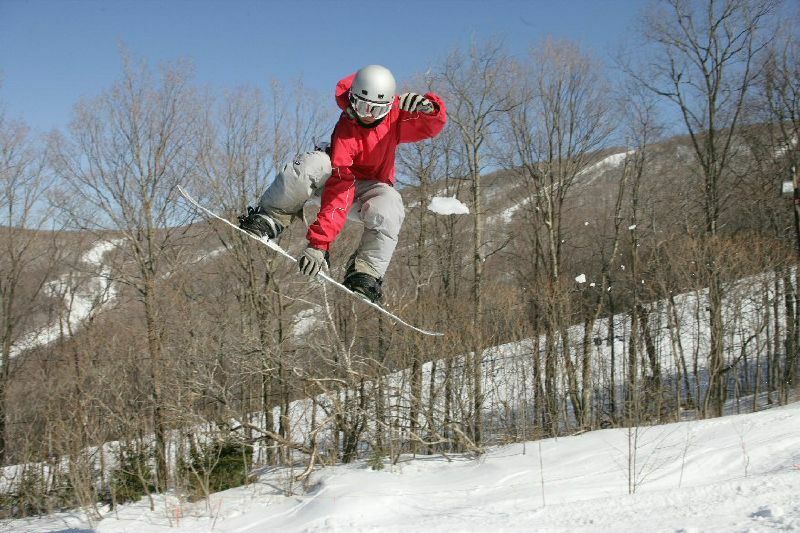 Jiminy Peak is an excellent choice for families and offers ski and snowboard school for children and adults. The ski area has two full service restaurants with lounges and taverns at the base area. There are three cafeterias and conference facilities. The Country Store includes a grocery with beer, wine, groceries and gifts.